Fossilized resin from trees. Allows for self healing by transmuting negative energy into positive energy. Provides a soothing effect to calm nerves. Helps in manifestation, opening of crown chakra, decision making, alignment of the bodies, balancing the electromagnetics of the physical body, & in cleansing the environment. Symbol of renewal of marriage vows & promises. The reason for the exudation of the resin is not fully understood, but the world’s major amber deposits are most likely to be a product of insect or fungal assault. For instance, an insect bores a hole into a branch or twig and a stream of resin is exuded to prevent further intrusion and to repair and reinforce the damage done. However, in these particular trees, resin was also exuded within the tree itself forming moats or channels of hardening resin within the wood matrix, perhaps as a reaction to termite or wood boring insect attack, or perhaps not. Whatever was the reason, this was a terrific occurrence as the resulting sticky, uniformly hued, clear-ish resin of many millions of years ago metamorphosed into the beautiful, warm, multi hued gemstone we know and appreciate today. 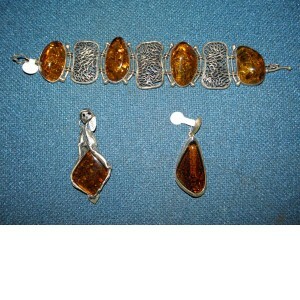 The color range of amber is extensive and is described in two ways –turbidity and hue. (Turbidity is the extent to which amber is clear or cloudy.) Usually, the more cloudy the amber, the whiter in color it appears. Turbidity is not the result of any chemical or the effect of any inclusion trapped in the resin. The turbidity is a result of thousands of tiny air bubbles held in the amber, and the size and density of the air bubbles results in different shading. The color range of amber is extraordinarily wide, extending far beyond the typical reddish-yellow we are so familiar with. The color also changes over time due to the effects of oxygen upon the resin. Pieces of fine translucent yellow amber that have been cut and polished for jewelry will gradually darken, becoming red and eventually completely dark. Amber has amazing properties. It absorbs negative energies and transmutes them into positive forces that stimulate the body to heal itself. A powerful protector, it links the everyday self to the higher spiritual reality. Psychologically, amber brings stability to life but also motivates by linking what is wished for to the drive to achieve it. Its warm, bright energies translate into a sunny, spontaneous disposition that nevertheless respects tradition, and in doing so can help counteract suicidal or depressive tendencies. 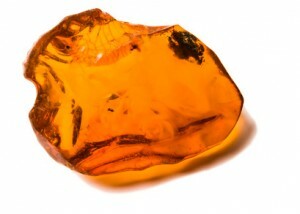 Amber is a powerful chakra cleanser and healer. At a physical level, it imbues the body with vitality and by absorbing pain and negative energy, amber allows the body to rebalance and heal itself. 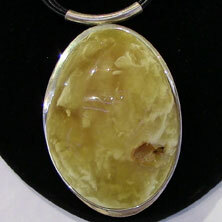 Amber will also put an intellectual focus near the chakra center it is worn closest to. When worn at the sixth chakra (third eye), it eliminates confusion about what’s really true, and increases mental clarity. When worn at the fifth chakra (throat), one is more intellectual and thoughtful in one’s communications. When worn at the fourth chakra (heart), intellect guides the emotions. When worn at the third chakra (navel), one has more intellectual clarity about one’s career, health or power issues. Moon 28° Scorpio 56' 00"